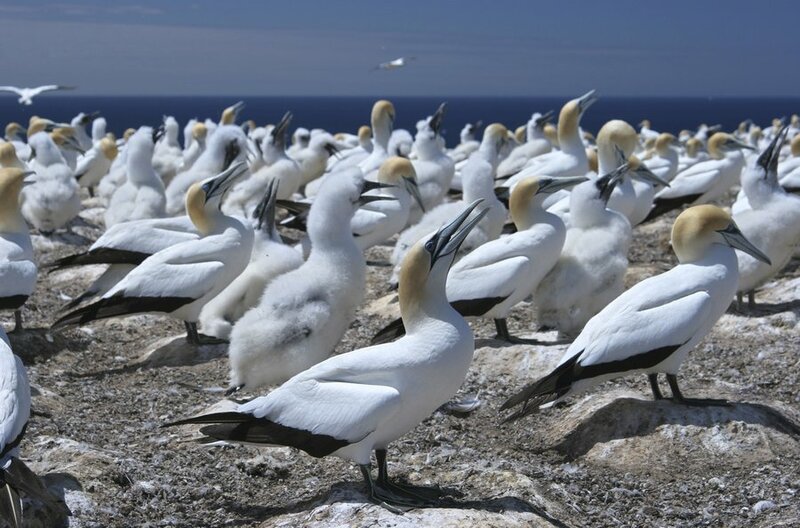 Australasian Gannet colony at Cape Kidnappers, North Island of New Zealand. Scientific Name: Morus serrator. Photo © copyright by Johnathan Ampersand Esper.